The books market in India is the sixth largest in the world,1 and the country’s print book market, including imports, stands at US$ 3.9 billion (Rs. 26,000 crore)2. 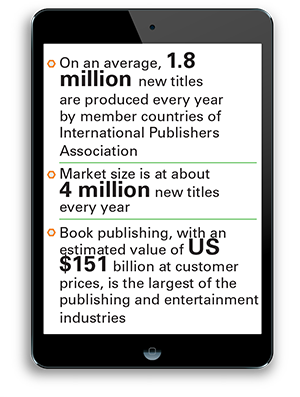 While these figures look impressive, the digital revolution (more people are gaining access to digital technology) is paving the path for eBooks. A testimony to this fact is Amazon’s head of devices David Limp’s statement that Kindle saw a growth of over 200% last year in India, the highest among their biggest markets.3 The percentage of eBook sales out of the total book sales worldwide in 2013 stood at 12.3% and is expected to reach 25.8% by 2018. India, with its literacy rate of over 74% as per census 2011, is one of the biggest markets for eBooks and innovative concepts. When Amazon was launched, they were an online book store and began to disrupt distribution channels using technology. As a result, they played a key role in shifting buying patterns all over the world. As customers started finding it convenient and cheaper to buy books online, publishers started feeling threatened by Amazon and other online bookstores. Ralph Möller, a publisher for more than 30 years in Germany, started to notice that more and more customers were moving towards buying books online. By 2009 with his company’s survival threatened by online stores, he understood that the internet is where readers were. This motivated him to find new ways to market books and sustain sales. Ralph reached out to WITS Interactive to develop a tool that would help market and promote books by leveraging the power of the internet and social media. With an initial investment of € 25,000, the joint venture between the two firms led to the creation of Book2Look, which makes the point of discovery the point of sale! Imagine you come to know of this great book you want to read tonight but you find it difficult to decide whether to buy it or not. Moreover, you would also like to know if it is a good read, but you have to do extensive research just to find out if it will be worth your time and money. You wish there was a smarter way. Book2Look, an interactive book sample, helps you solve these questions through its biblets (widgets). These contain sample pages, unlimited audio and video clips, search functionality, and online reviews making book samples shareable on various social networks. This viral sample is a ‘look inside’ solution created by the publisher with their shop links, thus making the point of discovery the point of sale too. The software crawls for online reviews from thousands of white-listed (trusted and credible) websites, blogs, newspapers, journals, and magazines, giving users access to online reviews inside the biblet. And of course, users can buy the book directly from the online store no matter where they discovered it. Biblets have multiple shop links for all book formats. Designed with a ‘mobile first’ strategy, they include a full-feature ebook reader inside them. Users can also share it or post a clip of their favourite quotes via social network, email, and embed it on a website or a blog. The response to Book2Look has been encouraging. We have more than 115,000 books available from over 1,200 publishers, and more than 5,000 self-publishing authors who use this platform as their primary tool of promotion. So far, over 75 million users across 240 countries have viewed biblets with an average of over 15 pages and spent 15 minutes on each visit. In addition, over 20,000 diverse websites have embedded Book2Look biblets. Working on a SaaS model (software as a service), Book2Look is a platform that helps both traditional publishers and indie-publishers (not tied or associated with any e-publishing portal) reach consumers directly, primarily through social media. It was launched seven years ago in Germany, and is now present in Spain, the US, the UK, Australia, and New Zealand. One of the common perceptions is that companies or individuals typically start off with an idea, build a prototype or a MVP (minimum viable product) to test its feasibility, and if the results are encouraging, create the product—to launch, market, sell, and generate profits. However, the reality is far from this. While you do start off with an idea and detail the specifications before you start the development phase, it is not humanly possible to think through all the possible features and product details in advance. In addition, following the conventional software development life cycle (SDLC), makes it even more difficult. A typical SDLC demands a well-defined and systematic approach to development; it worked well until a few years ago when people/companies built large-scale, legacy software where the development cycle was spread over many years. However, in today’s rapidly evolving world this is practically impossible. The trick is to constantly improvise, iterate, and innovate as you build the product. And that is what we did while building Book2Look. We implemented agile methodologies as a part of their development process which comprised smaller teams, shorter development sprints, and constant communication with all the stakeholders to ensure they never lost sight of the end objective. Also, at various key milestones during the product development stage, it was shared with a few key customers to gather insights and feedback. 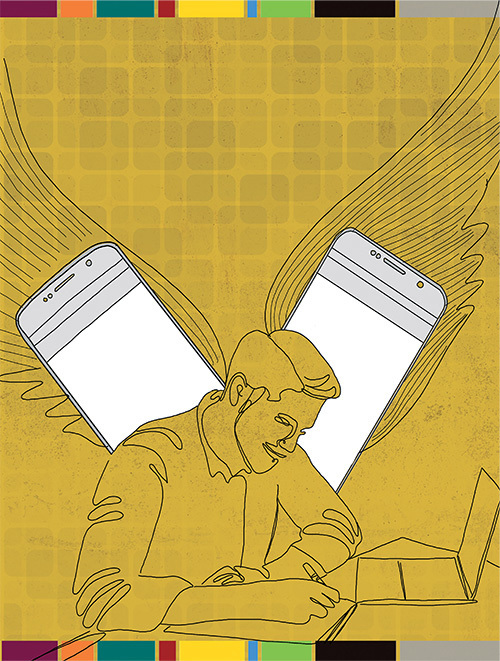 Often, product owners are so focused on their own vision, that they lose sight of the market and the audience. It is important to stay equally focused on the market as well as the potential of the product in meeting the business goals. And that is where factors such as customer feedbacks, a need-gap analysis in the segment the product is going to cater to, and keeping track of competing products play a key role. By incorporating the insights gained into the development cycle, we have been able to build a robust platform. Having said that, the journey has just begun and the product will evolve and grow in the days to come. 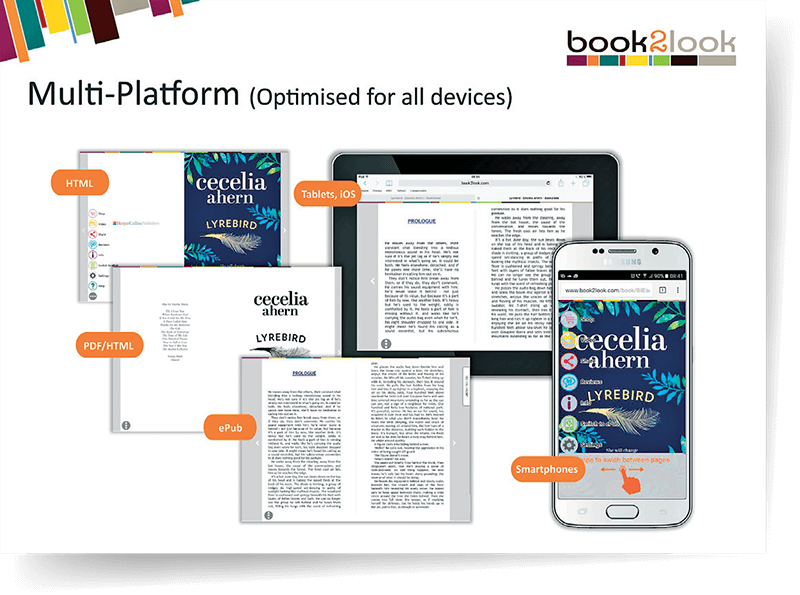 Book2Look has an edge over its peers as we provide traditional and indie publishers a versatile bespoke version of their books converted into widgets (biblets) for their online shop/blog, combined with a sophisticated marketing tool. 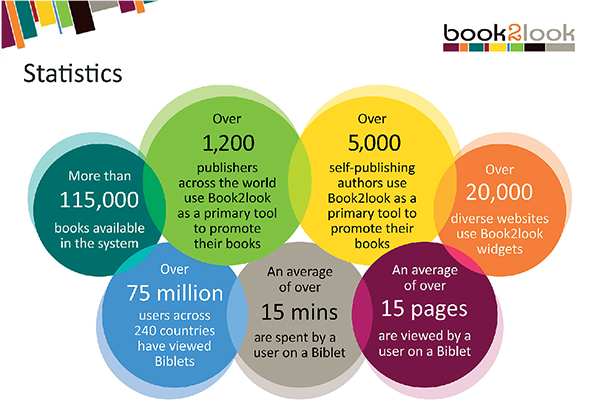 Book2Look offers publishers and retailers analytical data on their biblets through the dashboard. Relevant information such as number of views, embedding websites, click-throughs, time spent, pages viewed, shop links clicked, menu items clicked, and top active communities allows publishers to determine the focus of their digital marketing strategies. They also have the facility to implement their Google Analytics ID giving them additional information. Moreover, detailed reports of the biblets can be exported on to Excel sheets for easier viewing and storing. Another feature, distribution map, shows the regions in which their books are gaining attention. This data along with integration of social media makes it easier for them to sell their books. Until a few years ago, it felt amazing to be able to walk into a bookstore, hold on to a book, read through a few pages, and then take home that exciting read. But now, visiting bookstores has become a niche experience as more people are buying books online. Also, skimming through multiple review websites to decide one buying a book is time consuming. We plan to cash in on this by partnering with various traditional and indiepublishers across India to increase the presence of Book2Look within the publishing community. 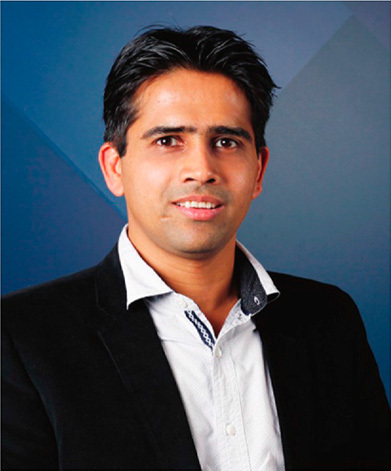 We are rapidly expanding, not just in terms of our business offerings but also in terms of the markets we operate in. The next 18-24 months will be a period of focus and growth, as we break into newer geographies and expand our service offerings by investing in IP creation. One such IP is Lectory, which offers readers opportunities to not only look inside, but also ‘meet inside’ the book. This facilitates social readings by writers and readers can also talk to their favourite authors ‘inside their books’.